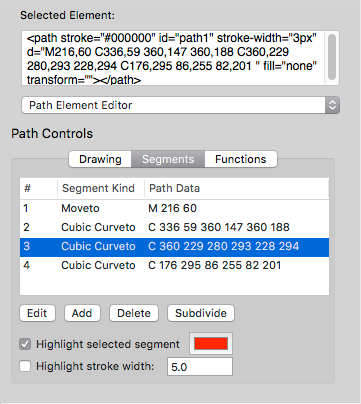 The <path> Element Editor contains several controls for creating and editing SVG path elements. It supports all of the SVG path segment types, such as lines, curves and arcs. The panel contains three tabs: Drawing, Segments and Functions. The current path segment can be changed by clicking on the “Segment:” menu in the “Drawing” panel. SVG path segments can be represented with absolute or relative coordinates. Set a checkmark in the “Relative Path Coordinates” checkbox to draw a segment with relative coordinates. The “Close Path Automatically” option is not currently implemented. 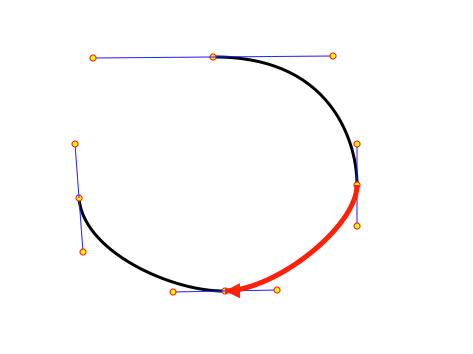 The “Curve Segment Continuity” checkbox is used when drawing and editing cubic curves to automatically draw smooth curves. This option is enabled by default. 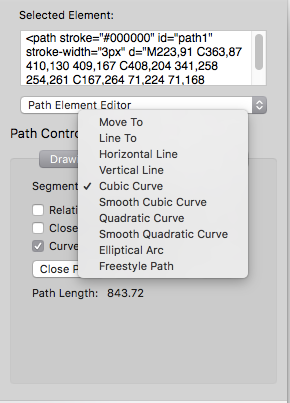 If you need to draw or edit a cubic curve segment to make a sharp angle or different curve shape, remove the checkmark for this option. The Segments tab of the path Element Editor shows a table of the path segments contained in the “d” attribute in the path element. 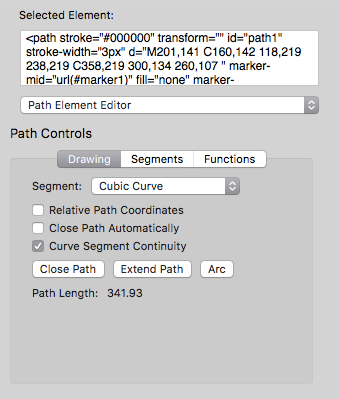 Click the “Edit” or “Add” button to edit an existing path segment or insert a new segment. 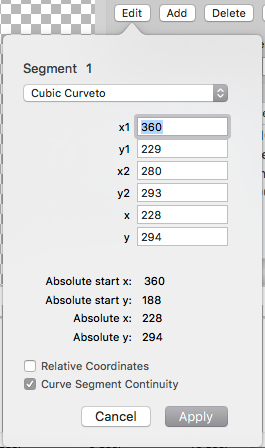 This popover window will appear to edit the values for the segment. Click the “Apply” button to modify the values in the segment. The “Subdivide” button will divide a selected path segment into two separate segments of equal length (in most cases). 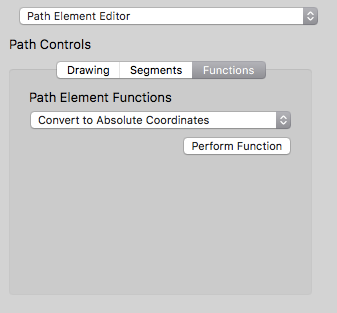 The Path Element Functions menu contains several useful commands for managing path data for the selected <path> element. The available commands are listed below. These functions operate on the base coordinate data in the path element’s “d” attribute. No transform attributes are added to the path element.